For years, Pico Iyer has split his time between California and Nara, Japan, where he and his Japanese wife, Hiroko, have a small home. But when his father-in-law dies suddenly, calling him back to Japan earlier than expected, Iyer begins to grapple with the question we all have to live with: how to hold on to the things we love, even though we know that we and they are dying. In a country whose calendar is marked with occasions honoring the dead, this question is more urgent than anywhere else. Iyer leads us through the year following his father-in-law's death, introducing us to the people who populate his days: his ailing mother-in-law, who often forgets that her husband has died; his absent brother-in-law, who severed ties with his family years ago but to whom Hiroko still writes letters; and the men and women in his ping-pong club, who, many years his senior, traverse their autumn years in different ways. And as the maple leaves begin to redden and the heat begins to soften, Iyer offers us a singular view of Japan, in the season that reminds us to take nothing for granted. 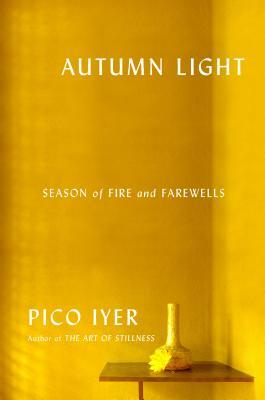 PICO IYER is the author of eight works of nonfiction and two novels. A writer for Time since 1982, he is a frequent contributor to The New York Times, Harper's, The New York Review of Books, the Los Angeles Times, the Financial Times, and many other magazines and newpapers on both sides of the Atlantic and Pacific. He splits his time between Nara, Japan, and the United States.